So you want to start an online store but you're just not sure of the best way to get started? Maybe you've tried eBay or other online marketplaces but feel they are just not the right fit for you. If you've got a great product, you're going to be looking for the most effective way to advertise and sell it, while also building long term valuable relationships with your customers. On the other hand you don't want to waste time setting up a website and dealing with the more technical aspects of ecommerce. It's your product and how to get it out to your customers that is where your focus lies. Well I have the perfect solution for you: Shopify. The team behind Shopify understand that starting an ecommerce business can be very daunting. So many people have thought about it and would like to do it, but are put off by how complicated it can all seem. They may have an amazing idea and awesome product, but they just don't know where to begin. Well don't worry because by using Shopify you can get straight down to growing your business! Starting a business has never been easier when you decide to use Shopify to set up yours. 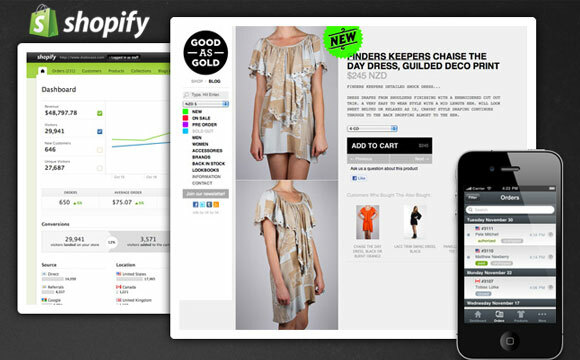 In fact Shopify handles everything from marketing and payments, to secure checkout and shipping. Leave all of this to Shopify and concentrate on the things you love. Create your online store in just 60 seconds! There are so many different options online to sell your product which is one of the reasons it's so daunting for people to start. They want to get going but just don't know which option to choose. Well ideally you want to remain in control, because it is your brand after all. Unlike other online options, with Shopify you remain in complete control of the direction your ecommerce experience takes. 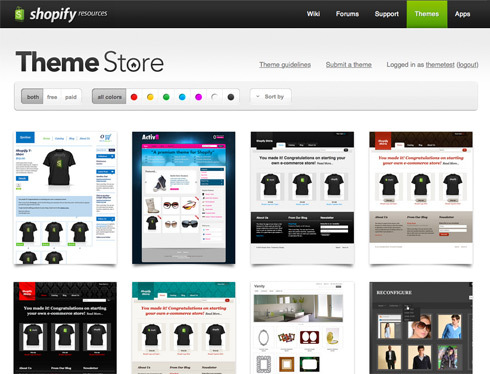 When you sign up and start using Shopify you have complete control over the look and feel of your online store and will gain instant access to hundreds of the best looking themes that the industry has to offer. These include stunning professional themes from created by world-renowned designers like Happy Cog, Clearleft, and Pixel Union! This is completely different to using other alternatives which are far more restrictive. Instead you can create a gorgeous online store front which reflects the unique personality of your brand. When you are running your own business, it is imperative to be able to see what is working and what isn't. To do this you need to be able to access fully comprehensive online data for your store. With Shopify you will have access to an analytics dashboard which will show you everything you need to know. This includes a breakdown of sales, orders and traffic to your store. This isn't just basic data but an in-depth look at what is happening in terms of which products are selling and which aren't, where your visitors are coming from and how they found your site. With this information easily at your finger tips you can make constant improvements to your store and your sales strategy. These are just some of the amazing features of the comprehensive Shopify analytics system. Shopify has a multitude of wonderful tools that you can use to manage your online store whether you are working from home, in your office or on the go. With the Shopify App on your phone you can easily manage all aspects of your store directly from your phone or tablet. This includes capturing payments and fulfilling orders, and sending shipping notifications from the post office. 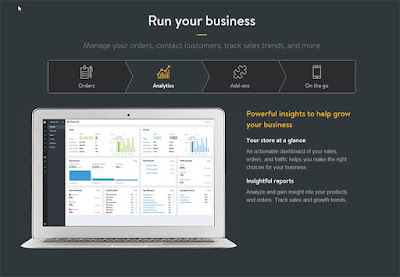 From the App dashboard you can quickly see items that need your attention, and track trends in your business. Your inventory can be managed right from within the app including adding products, taking a product photo, or changing a price. You can also instantly look up customers and reach out to them via email or phone. All data is synced between your Shopify store and the App. When you use Shopify for your online business, you can be guaranteed of 24/7 support. The Shopify support team are available to help with any queries you may have big or small 24 hours a day, 7 days a week, by email, live chat, and phone. Not only that but there are a variety of other tools and features that Shopify provides to help make your Shopify store as successful as possible! 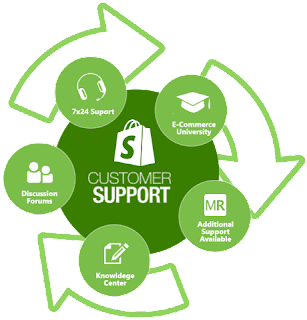 There is a comprehensive Shopify Help Centre where you can find help with commonly asked questions, user guides and tutorials. You can also work with a Shopify approved ecommerce designer, developer, or marketer who will help you make your store a big success. There are discussion forums to get involved in to discuss the best tactics for making your business grow, and even an Ecommerce University with everything you need to know about selling online. Shopify started a whole decade ago which in the digital age is a long time. It is an established online brand which has seen tremendous growth year on year, as more and more people start using the Shopify system to set up their online business. If you decide to try Shopify you will be joining over 325,000 other merchants across 150 countries. Between them they have had $24 Billion of sales! As you can see Shopify is an amazing option if you have been dreaming of setting up your own online business, but have been put off by other options or have worried about not having the skills or time to dedicate. With Shopify you have all the tools at your disposal to create an online business that is going to shine. It is so quick and easy to set-up and you can even sell on Pinterest or Facebook. Start using Shopify for free today and start your journey to online success!